Home/Costuming, R2-D2/Out doing charity work..
Before this weekend, I had to abandon the upgrades and mount everything that was not yet all finished back into R2. It was time to go for an outing! 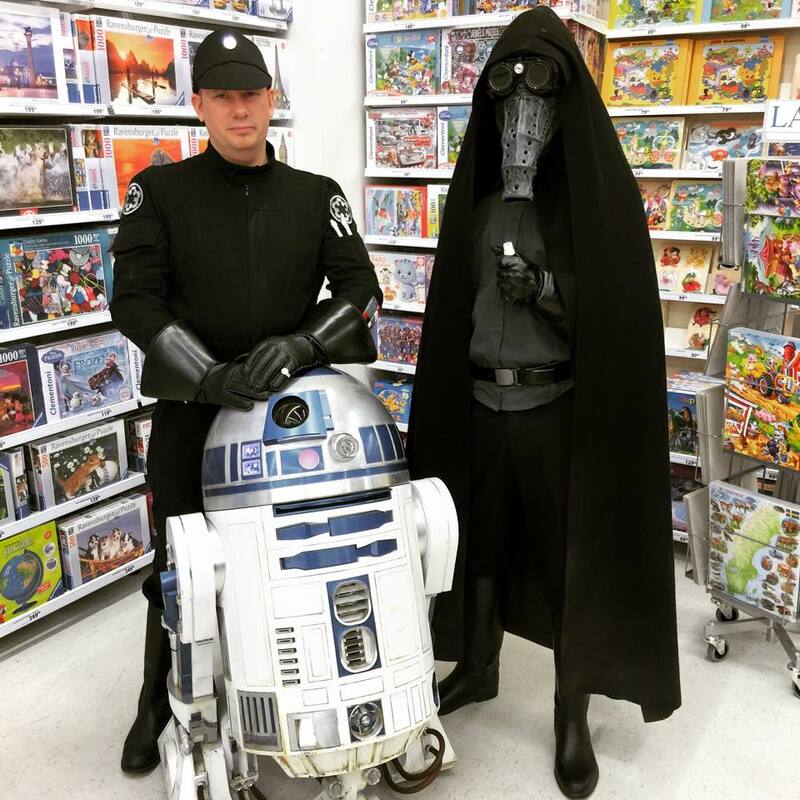 We (as in Nordic Garrison with R2) had been asked to help open a toy store! I find myself doing a lot of these things for charity. The local Garrison of 501st to which I belong, Nordic Garrison (Actually the only one spanning so many countries as it does), have to days date collected and donated over 1.000.000 SEK! This time around, since it is a toy store, we got a quite sizeable donation of toys, that we will in turn donate to one of the local children’s hospitals in the area. Along for one of the days, we had one of Sweden’s most talented Cosplayers (who is also a very active member of the 501st), Henrik Pilerud of Pilerud’s Cosplay, here showing off his Garindan, a very rare costume that he has made himself. By micke|2016-12-06T00:00:23+00:00March 30th, 2015|Costuming, R2-D2|Comments Off on Out doing charity work..
200 posts! Time to launch the Robocop Project!